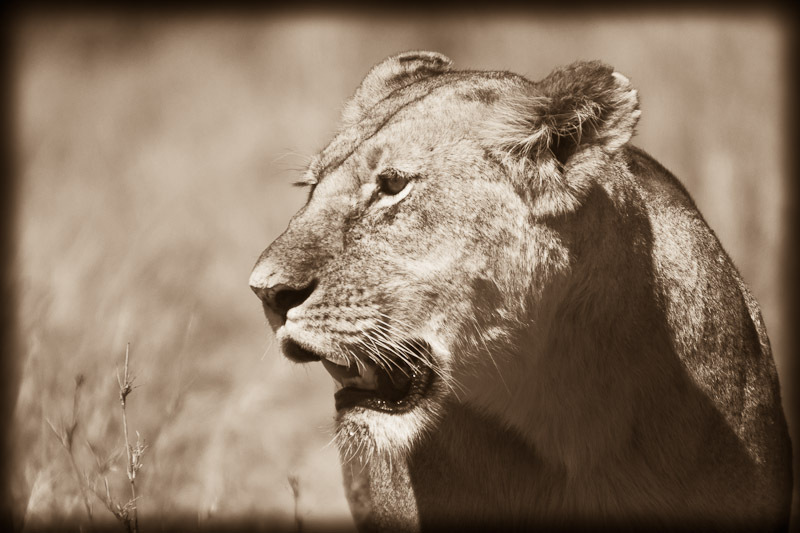 It is the females of the pride that do most of the hunting. This lioness stares intently across the savanna in search of the pride's next meal. Masai Mara, Kenya.